Enlightened veterinarians and pet parents have become increasingly wary of the health risks, and lack of benefits, associated with repeatedly vaccinating dogs after their initial “puppy shots.” Is titer testing the solution to the over-vaccination problem? Here’s a crash course to help you muddle through the mire of misinformation surrounding this simple blood test, and to help you decide whether or not to test your dog’s antibody titers. How is the test performed? Your test result will have an explanation of what your pet’s test result means. But if you want to know more, here’s the test in a nutshell: First, one mL of blood is drawn. The sample is then diluted. Titer levels, expressed as ratios, indicate how many times blood can be diluted before no antibodies are detected. 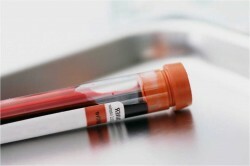 If blood can be diluted a 1000 times and still show antibodies, the ratio would be 1:1000. This is a “strong” titer. A titer of 1:2 would be weak. Should I test for all diseases?The most recommended test examines antibodies for both parvovirus and distemper, the two most important viruses.Rabies titers are also often tested. Usually, for most dogs, tests for other diseases are generally not considered useful or necessary. Why test? The parvovirus/distemper test can help you or others (vets, groomers, kennel owners, etc.) determine if your dog requires additional vaccination, and may save your dog unnecessary shots. It is especially useful when making a decision about vaccinating an animal with unknown vaccination history, or for determining if puppies have received immunity from vaccination (more below). Most experts believe strong titers are a more reliable indication of immunity than vaccination: tests show the actual immune response, not just the attempt to cause an immune response by vaccination. Do not expect, however, that everyone will accept test results in place of proof of vaccination.The subject of immunity is complicated, and we are programmed to think of vaccination as “the gold standard” — the more, the better. Experts who challenge the status quo are often maligned. Humans don’t like change.